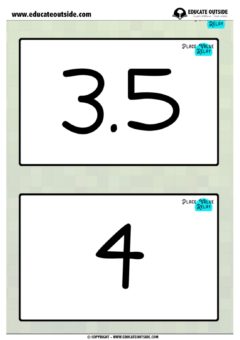 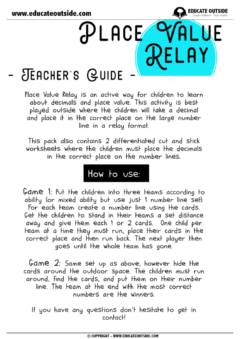 This activity is a great way to get your class learning about place value and decimals. 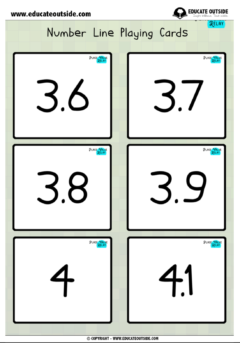 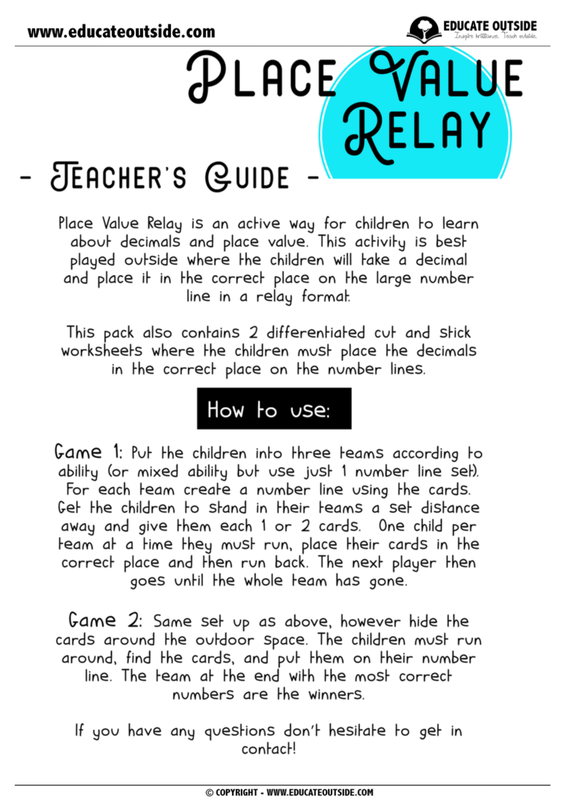 This activity is best played outside where the students will take a decimal card, run to the number line, and place it in the correct place in a relay format. 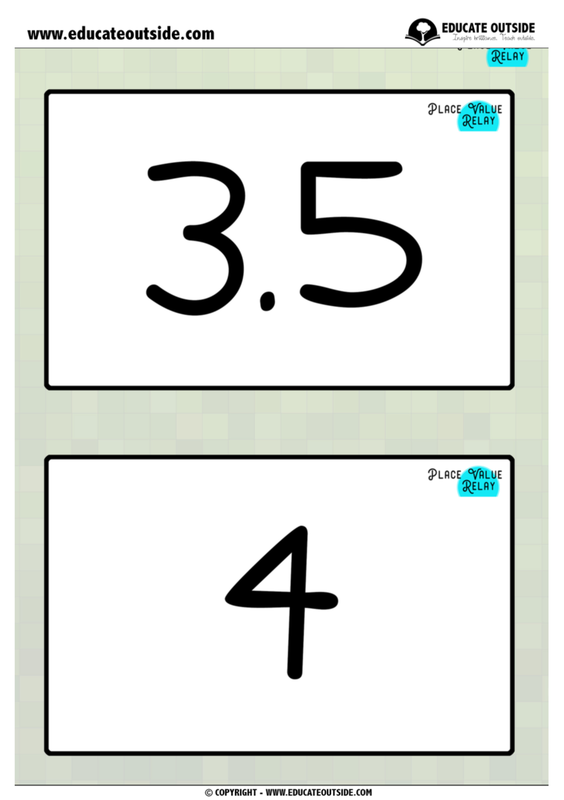 1 x Large number line with playing cards.